That zip suit is so cute. Also love the patterned blue shorts. Love the sunnies and bikini! 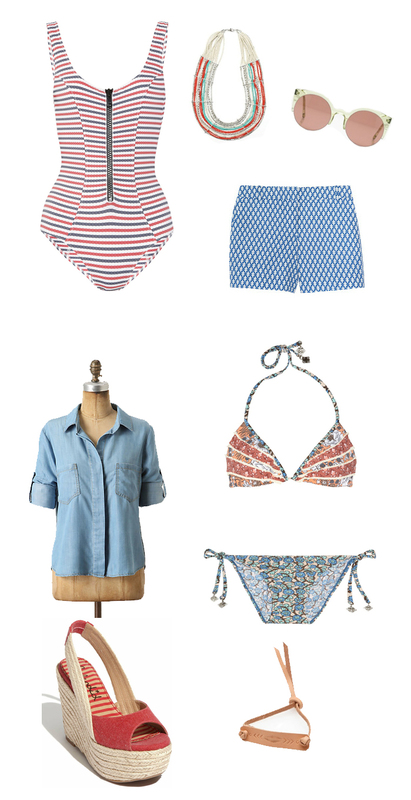 the short and the swimming suit are my favorite items!! Aww that swimsuit is lovely! i've been looking everywhere for a lovely swimsuit foreeeever and I think you may have found me one!! wow - love the dusty red and pale blue color palette! amazing picks!